Three things you should know about me - I'm Burmese, I'm a Japanophile, and I love pork. 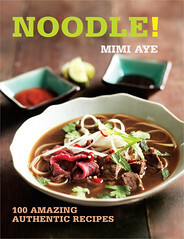 My first book NOODLE! - 100 Great Recipes (Absolute Press) is out now and can be found in larger bookshops such as WH Smith, Waterstones, Foyles and also online at all those stores, as well as on Amazon, and the Guardian Bookshop. Randomly, it's even available on eBay. 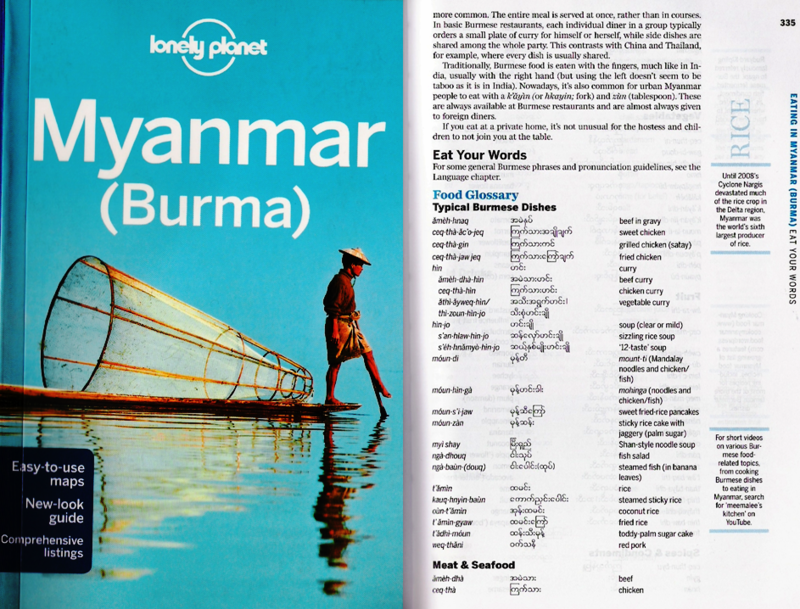 As for this blog, I started in February 2009 to spread the word about my beloved Burma and Burmese food, and because MasterChef was winding me up. You'll also find restaurant reviews, Burmese recipes (and other cuisines) as well as the occasional product review. I am available for freelance commissions - for more information, please contact my agent Juliet Pickering at Blake Friedmann. Oh, and my name is MiMi (two big Ms). "Meemalee" is the nickname my best friend at college gave me. I have no idea why. It's pronounced mee-muh-lee. If you want to know more, click the photo above. You can email me here. Be nice. Burmese mohingha is just "mohingha". Do not Westernise the name by calling it chowder. I do not know what chowder means. Is it a knd of bird ? (a) I think you meant to comment on the mohinga recipe rather than my About Me page, but I'll respond anyway. (b) In what way am I trying to "Westernise" mohinga? I'm just trying to give an English translation. If the English language offends you so much, why are you reading a blog written in English and why are you commenting in English? (c) I cannot tell if you're trying to be funny or are too lazy to look it up. Chowder" is an English term referring to a thick fish-based soup. As I said above, I am simply using that word as a translation to describe what mohinga is like to people that do not know as I would like to teach them and share our wonderful Burmese cuisine. I make it perfectly clear that the dish itself is called "mohinga" and I use the name "mohinga" repeatedly throughout my blog and my book. Really not sure what you're so upset about. "I do not know what chowder means." This is the time you use GOOGLE? Aah, anonymous. So brave to tell others how best to spread awareness of Burmese cuisine, when hiding behind anonymity. I'm not Burmese, but understood immediately that the term chowder was used as a quick short-hand to give a very approximate understanding of the category of dish that mohinga fits into. It doesn't mean I think mohinga is the same as chowder! Additionally, when I see mention of a dish that I'm not familiar with, it's useful to me to know which country it's from. What weird things to try and pick a hole in. Daft, frankly. Her usage of terms as chowder for mohinga is so that non-Burmese can relate or expect the dish she is describing. Perhaps you don't know what chowder is because you are not non-Burmese. Simple as that, if you don't know what it means then, this analogy would not apply to you. Dear Mi Mi, You did a beautiful job of explaining Mohinga in an easy manner.Subarashii de/A pyan zah/Splendid ! To the other Anonymous, please be nice to Mi Mi Shinsetsu, nee/Thana: nhyar tar bar. To call Mohinga as Chowder makes a lot of sense, and Mi Mi's first explanation explained it very well. No need to Saw Da Ka Tet/ to raise further controversy/Mondai nai, nee. I was looking for an easy recipe for Mohinga Chowder and found your recipe on FB. The reason is because I was going to write a song on how to make Mohinga with easy lyrics to the tune of Goldfinger, that 007 James Bond movie. Notice how it rhymes so well. 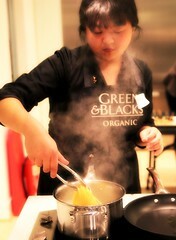 I shall credit you with the recipe. Last month, I wrote a song called , Doo Yin Thee's So Good For You to the tune of Can't Take My Eyes Off You by Frankie Valli, 1967. PS I tried to reply with my full name and email but could not because your website said "URL must contain a host name." So I will just select Anonymous just to be able to publish this. But you have my name and email.